Flower Power isn't a throwback to the 70's era when hippies roamed and your dad thinks his perm is as cool as his Jimi Hendrix albums. Instead it's a new product from Parrot, a Solidworks customer well known for their GPS and other electronic products. Flower Power is a sensor based system that updates your household plants well being to your smart phone. Just plug in the Flower Power sensor into the soil and it will measure sunlight, moisture, tempreature and even nutrient levels. If any of the stats are in a low level and needs attention such as the water level of your soil, It will send a notification message via Bluetooth to an application in your mobile device. Your plant will stay healthier and you can share your happy progress online through a community of plant loving gardeners. It's like Farmville only real and just as annoying. While most of our malay friends are ready to head back home for the holidays and looking forward to a great home cook meal. 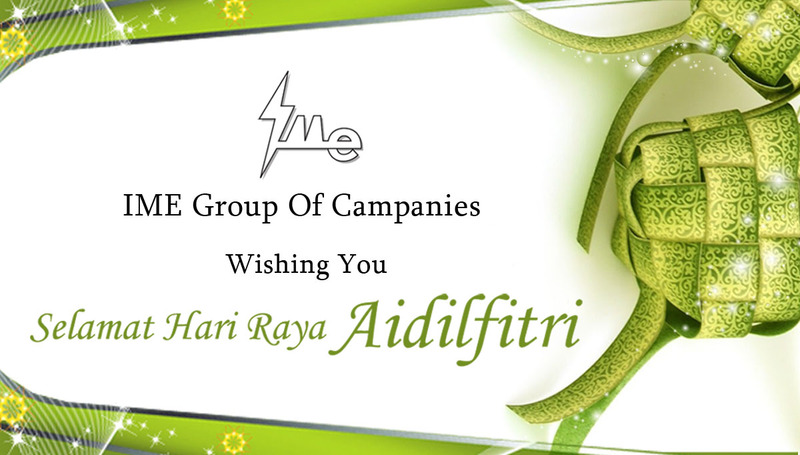 We at IME would like to wish all of you SELAMAT HARI RAYA and a safe journey. I would open a sketch, lets say on the right plane. Draw a circle and dimension the outer diameter. Next I would offset that circle to the thickness of the belt. Next I would extrude that sketch by mid plane to the width of the belt. Now I would create another sketch off the same plane (right) and select the face of the belt and select convert entities in your sketch list. Now I would take the line command and center a tooth top and bottom (or off set them if need belt). Now trim off the excess lines after you dimension your teeth.. Extrude the teeth sketch the same way as you did the belt.. Now select that feature in the feature manager and do a circular pattern.. You can then choose how many teeth you want and it will space it out for you.. . Email me if you need better help.